This week finds everyone "recovering" from retreat--which just means adjusting back to the normal schedule, especially earlier Morning Prayer! 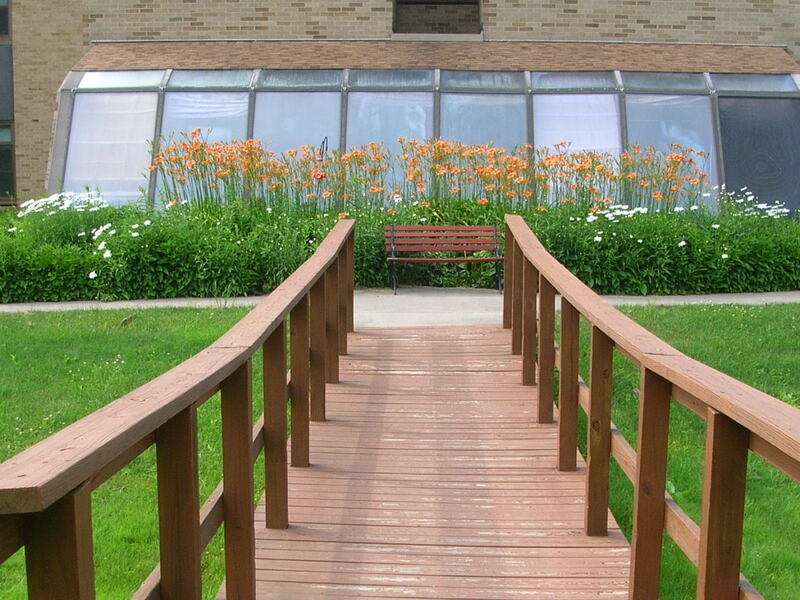 * The SBA alumnae will hold their summer picnic Thursday at the Mount. It includes dishes brought by the members---salads and desserts mainly--delicious! * Wednesday was Founders' Day, the anniversary of the arrival in1856 of the first sisters who will become the Benedictine Sisters of Erie. They came from the little town of St. Marys, PA, about 100 miles SE of Erie. * Four of our sisters are in Atchison, KS as delegates to the Federation of St. Scholastica quadrennial General Chapter (see blog entry of May 20). * Our sisters involved in major federally-funded programs are wrapping up their year (June 30) which means, of course, piles of paperwork and deadlines. Their programs are truly wonderful, but the work they have to do to keep them going is mountainous. * Although we read of wild summer weather in parts of the country, we continue to "bask" in gorgeous warmth and sun. 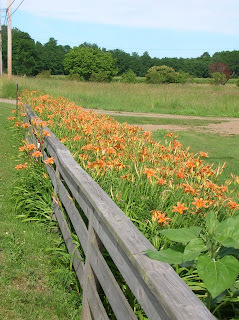 These are also the weeks for our area to be covered with orange tiger lilies. They are everywhere: along the side of the roads, in gardens, and in cultivated patches. 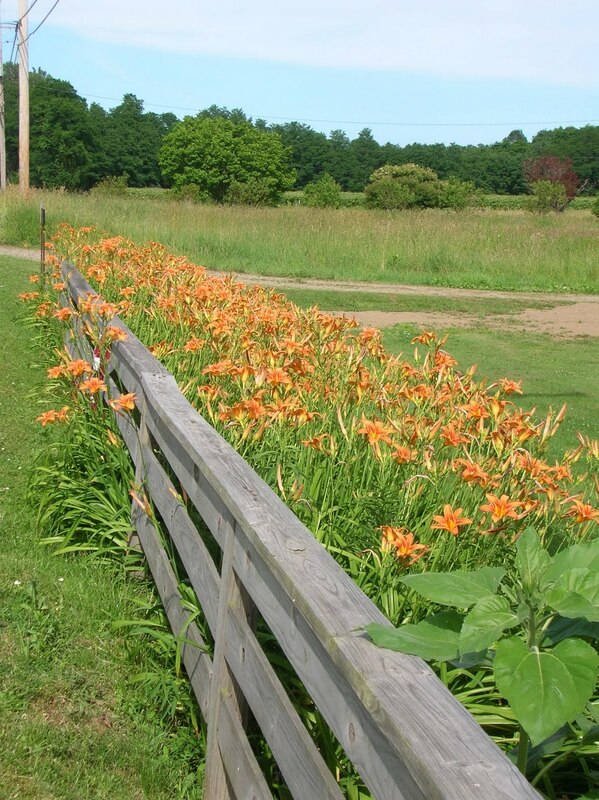 I found these up against this fence about three miles east of us--right on East Lake Road. Pretty setting. And here is our own greenhouse with its annual display. This was taken from the south side of the little land bridge known to everyone who has stayed in our hermitages as it is part of the path to the Mount.